Many people don’t know that the Cancun area is home to four breathtaking tropical islands, each with its own distinct personality. Three of these islands are close enough to Cancun, Playa del Carmen and the Riviera Maya to visit during a day trip. Discover Cancun’s islands and the natural wonders, ancient Mayan history and/or Mexican culture they have to offer. As we go down the list, these islands become less inhabited. 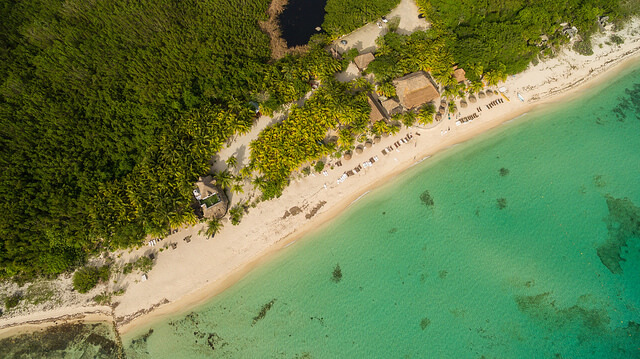 Cozumel is the largest and most populated of the four islands. It is Mexico’s third largest island and is about 30 miles long, 10 miles wide and located approximately 11 miles or a 45 minute ferry ride off the coast of Playa del Carmen. Cozumel is home to the second largest coral barrier reef in the world, the Mesoamerican Barrier Reef System, and is a snorkel and dive mecca and a popular cruise ship destination. Mayans and their descendants have inhabited Cozumel since 300 AD. These days the largest concentration of restaurants, bars and shopping is in the downtown area of the city of San Miguel. 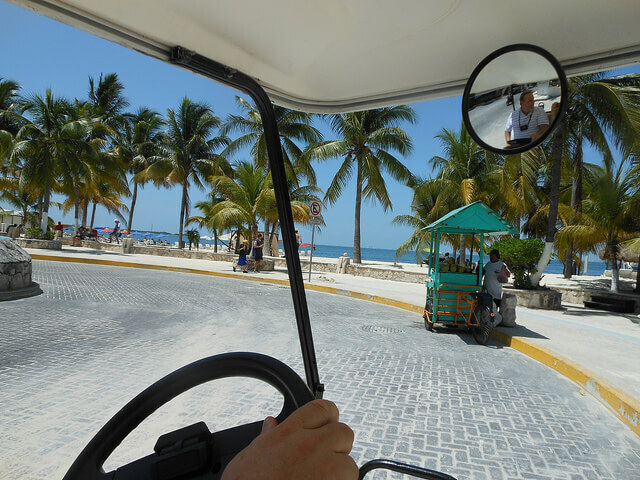 You can get to Cozumel by commercial flight, air taxi, ferry or cruise ship. “Island of Women” is located 8 miles off the coast of Cancun and is only about 4 miles long and half a mile wide at its widest point. The easternmost point of this small island includes a ruin dedicated to the Mayan goddess Ixchel, and is the first place the morning sun touches Mexico. The charming downtown area of Isla, as it is affectionately called by locals, is home to small hotels, shops and restaurants. There are cars on Isla, but there are even more scooters, bicycles and golf carts. The best day on Isla includes renting a golf cart, circling the island and then parking at North Beach for cocktails, lunch and a dip in the calm turquoise water. You can get to Isla Mujeres by air taxi or ferry. Holbox, which means “Black Hole” in Maya, is a quiet island, where you will find just two ATM machines and no cars. Most of the locals are fishermen, so fresh seafood is abundant. There are many charming boutique hotels on the island. Tourism hasn’t taken over Holbox yet, but it is quickly becoming a popular destination due to the hundreds of whale sharks that gather in the area each May-September. Visitors come from all over the globe to swim with these gentle giants. Kite boarding is a popular sport on the beaches of Holbox. 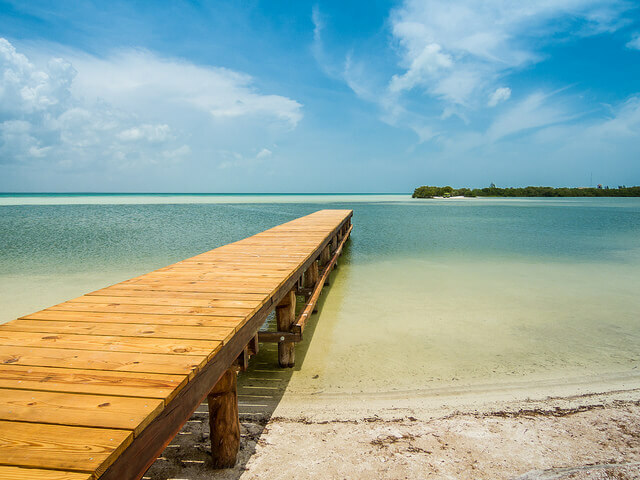 You can get to Holbox by air taxi or by taking a bus to the port of Chiquila and then taking a private boat or ferry. Nobody lives on Isla Contoy except for a lot of birds and sea turtles. This island is located approximately 18 miles north of Isla Mujeres, where the Gulf of Mexico and the Caribbean Sea meet. 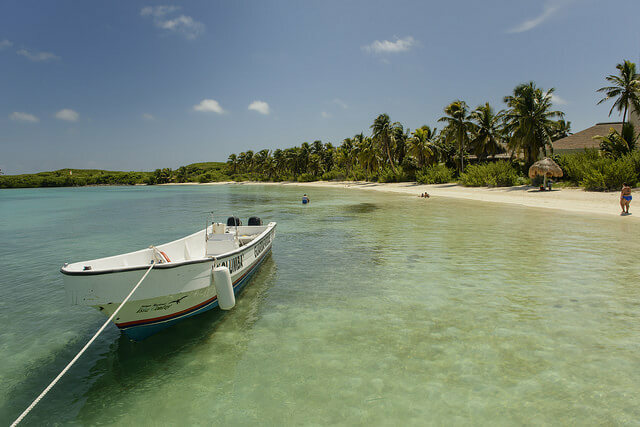 Isla Contoy is only about 5 miles long and only about a tenth of a mile wide and is considered the most important sea bird nesting place in the entire Mexican Caribbean. The island is a Mexican national park and is protected. There are only a few tour providers who are allowed to bring visitors to the island and only 200 people may visit per day. There is a visitor center on the island but no hotels. You can visit Isla Contoy by taking a tour or in your own boat if you receive permission from the park offices in Cancun or on Isla Mujeres. Stay at Hacienda Tres Rios and visit the the Islands of the Yucatan Peninsula. Thank you dronepicr, Kirt Edblom, dronepicr, Son of Groucho on Flickr for the photos!